The Opposition Leader is urging fellow citizens to mount pressure on their MPs in government to vote against the constitutional amendment increasing the nomination fees from K1000 to K10,000. 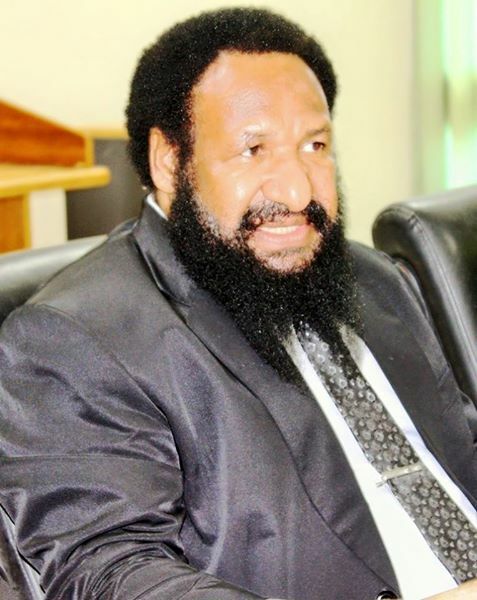 Don Polye issued the call following the Supreme Court’s verdict last Friday rejecting the Ombudsman Commission’s bid to stop the Parliament from further votes, debate and deliberation. He said the amendment bill infringed on the citizens’ constitutional right to contend for any public office. “The court’s rejection does not mean that the bill is constitutional. The decision only reflected a distinct separation of powers among the judiciary, executive and the legislative governments,” he said. Polye challenged his fellow MPs in government to use their ‘moral conscience’ to oppose the bill in its second and third readings when Parliament session resumes on March 28. The amendment to Section 103 of the Constitution was tabled in Parliament by Prime Minister Peter O’Neill but he narrowly mustered 74-14 votes in favour. The Opposition Leader has commended two government MPs who have broken ranks within the government to vote against it. The MPs are Minister for Public Service and Abau Sir Puka Temu and Vice Minister for Mining and Chuave MP Wera Mori. Polye described this law as draconian, saying he is confident that more MPs in the government will vote against the bill when it returns to Parliament for votes. He assures the people that the Opposition caucus will discuss the decision with their lawyers on whether to make an application for its review.